There has been a lot of talk about grass-fed versus corn/grain-fed animal products. Some people think of grass-fed meat as another expensive option for fitness fanatics, yet it may not be as high-priced as you imagine. It is easy to come up with excuses when it comes to making changes to your lifestyle. Instead of avoiding the possibility that grass-fed meat is the healthier option, you should learn more about the differences between grass-fed and grain-fed meat and dairy products. Why is grass-fed meat healthier for you than grain-fed meat? Keep reading to find out. The first thing that you need to understand about meat and dairy products is that they do not all contain the same types of fat. In fact, not all fats are created equal. There are healthy fats and harmful fats. This includes saturated and unsaturated fats. Omega-3 and omega-6 fatty acids are polyunsaturated fats. Your body needs omega-3 and omega-6 fats, but in a certain ratio. When this ratio is out of balance, in favor of omega-6 fatty acids, you are at a higher risk of heart disease, diabetes, and stroke. According to various research, when the ratio of omega-6 fats to omega-3 fats exceeds 4:1, people are more prone to health problems. Apparently, the ideal ratio is a little closer to 2:1 or 3:1, of omega-6 to omega-3 fatty acids. This is where the first benefit of eating grass-fed meat over grain-fed meat become apparent. 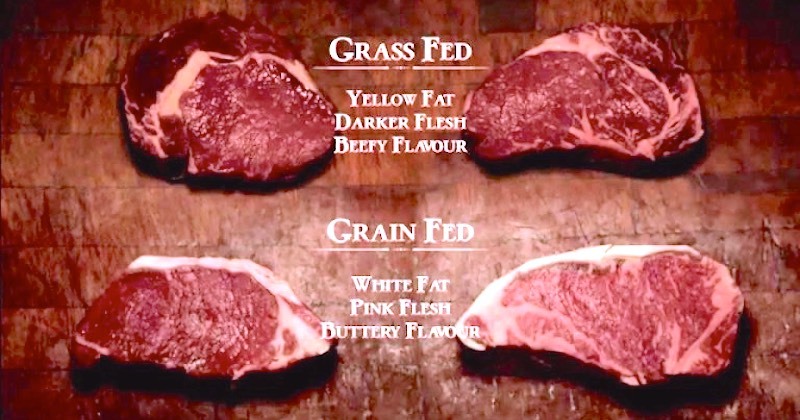 Grain-fed meats contain a ratio of 20:1 while grass-fed meat is around 3:1. The average western diet contains a large amount of omega-6 and a lack of omega-3. This is partially due to a dependency on processed foods and meats that do not provide a healthy dose of omega-3’s. Your body cannot make these fats, so they are essential fatty acids. They are found in almost all cell membranes. Additionally, a lot of other sources of these fatty acids possess a high ratio of omega-6 to omega-3. In order to maintain a healthier ratio, you need to find better sources of omega-3 fatty acids. The omega 6 and 3 ratios for grain-fed and grass-fed meat vary, but the difference is not as large as the difference between free range-fed eggs and supermarket eggs. The average free range egg has a fat ratio of 1.5:1, while supermarket eggs have an alarming lack of omega-3’s, with a ratio of 20:1. Fish is often promoted as a great source of omega-3 fatty acids. While this is true, various independent studies have concluded that nearly all fish commercially sold in the United States is contaminated with mercury. Most doctors already advise pregnant women to avoid fish for this very reason. Mercury contamination may cause a high risk of fetal brain damage. With fish out of the picture, the next best source omega-3 fatty acids comes back to grass-fed meat and free range dairy products. In some regions, the price for these products may be a little steep, but if you think about the benefits, then it could be worth the price to switch to grass-fed animal products. The bottom line is that grass-fed meats and free range dairy products offer a more suitable ratio of omega-6 and omega-3 fatty acids, which can correct an imbalance of these essential fats. Most scientists agree that an imbalance of these two fats could be one of the largest issues that can lead to an increased risk of illness. This only covers a portion of the reasons why you should consider switching from grain-fed meat to grass-fed meat and dairy products. 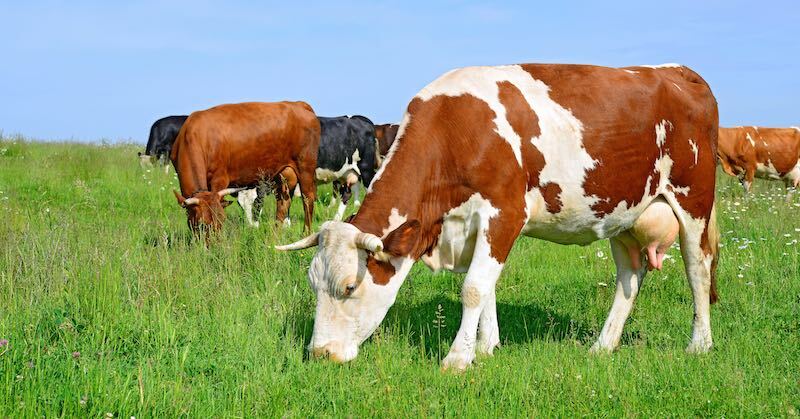 Obviously, it is up to you whether or not you stop eating grain-fed animal products, but it is hard to ignore the benefits of eating grass-fed products. Consider the benefits and drawbacks of each option and make an informed decision before you pick up some ground beef or eggs for your next meal.